Dan Bohus’s home page can be found here. Dan Bohus works on developing multimodal, integrative-AI systems for physically situated interaction and collaboration between people and machines. 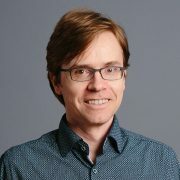 The long term question that shapes his research agenda is how can we enable interactive systems to reason more deeply about their surroundings and seamlessly participate in open-world, multiparty dialog and collaboration with people? Physically situated interaction hinges critically on the ability to reason about and model processes like conversational engagement, turn-taking, grounding, interaction planning and action coordination. Creating robust solutions that operate in the real-world brings to the fore broader AI challenges. Example questions include issues of representation (e.g. what are useful formalisms for creating actionable, robust models for multiparty interaction), machine learning methods for multimodal inference from streaming sensory data, predictive modeling, decision making and planning under uncertainty and temporal constraints, etc.